We are introducing a new shape, 'Bartlett'. Available in two sizes 32" tall and 29" tall. it is available in all of our standard glazes. 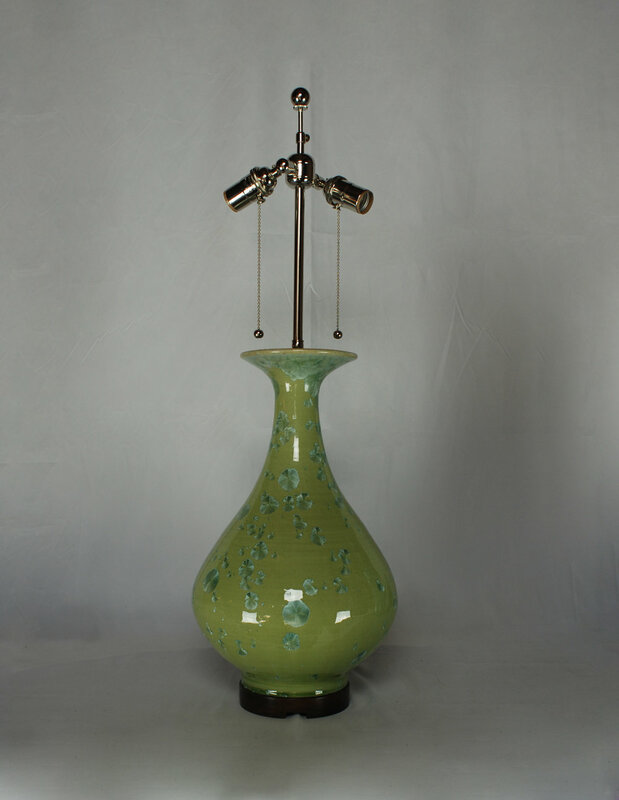 As with nearly all our lamp bodies these are available with a 1" or 2" tall wooden base or without a wooden base. They are shown here in Melon glaze one with and one without drips. 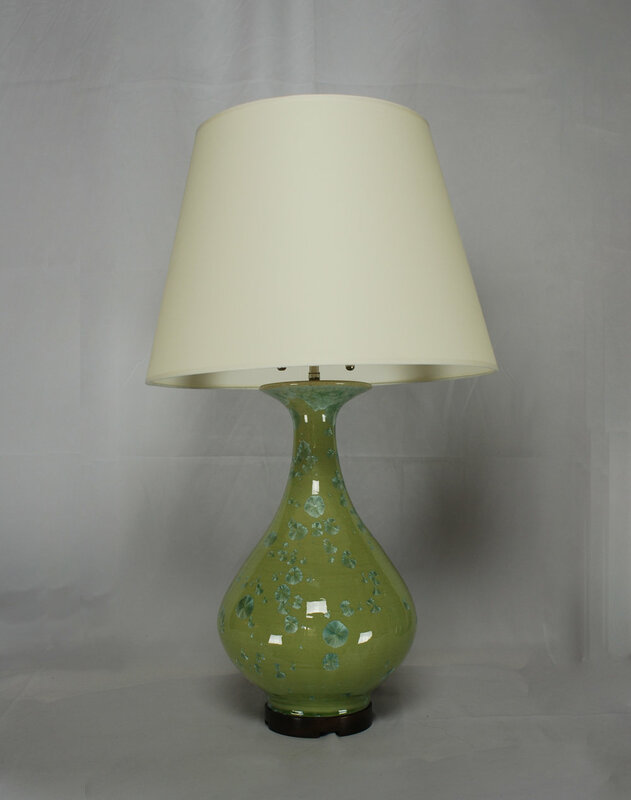 Bartlett table lamp in Melon glaze 1" tall reclaimed walnut base with paper parchment JMF Empire cant shade with self-tape.